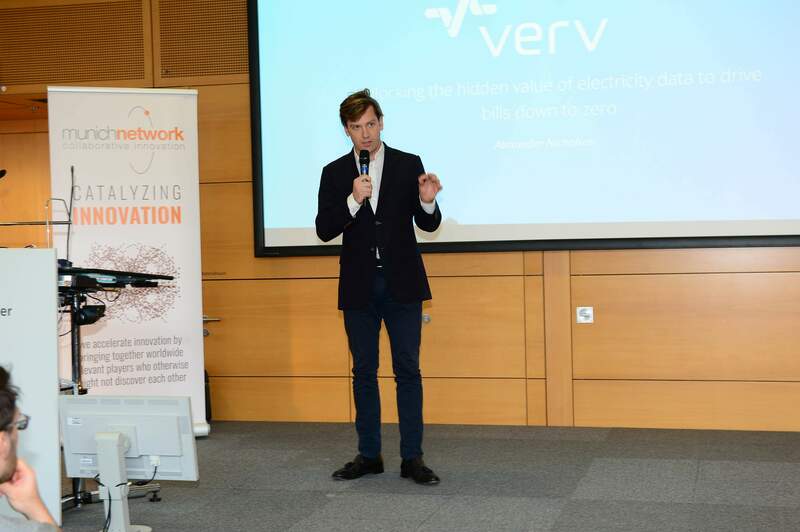 According to the core topic “Energy from Data”, the British startup Verv has been selected as the winner of the DIGITAL ENERGY INNOVATION AWARD 2018. The award was presented at the Digital Energy Innovation Forum in Munich on November 14, 2018, hosted by Munich Network, Fraunhofer-Gesellschaft and Fraunhofer Allianz Energie. “With its smart home energy assistant that gives customers intelligent information about key appliances and electricity in their homes, Verv has rightly convinced this year’s high-calibre innovation award jury”, says Curt Winnen, General Manager from Munich Network. 43 startups from 13 different countries – Denmark, France, Germany, Great Britain, Israel, Italy, Netherlands, Norway, Portugal, Russia, Slowakia, Spain and Czech Republic – had applied for the Digital Energy Innovation Award. All of them provide unique solutions that shape the digital energy transition and offer solutions for challenges like mastery of complexity, reduction of transaction costs and convenience/user friendliness based on the latest technologies in simulation technology, artificial intelligence, blockchain and cyber security. In the end, the 10 best startups nominated by a highly experienced jury with outstanding personalities from the digital energy ecosystem, had the chance to present their innovations with 3-minute-pitches live on stage in front of the expert audience and at a booth at the innovation fair. “I was really impressed with the calibre of the event and the other startups. The level of technicality involved in the discussions around the digital transformation of the energy sector was particularly interesting“, says Alexander Nicholson, Head of Investment / Partnerships, from Verv. Verv is foremost a technology company, delivering solutions to multinational corporates that encompass high-speed data acquisition, AI and blockchain. The flagship product is the Verv Home Hub, a device which can be self-installed by residents through simply connecting the current clamp to live wire behind the meter and plugging it into the mains. By incorporating blockchain technology into the Verv hub, the company has also created a peer-to-peer energy trading system that enables households with solar panels to sell excess energy directly to their neighbours at the best value for both parties. In April 2018, Verv conducted the UK’s first peer-to-peer trade of energy on the blockchain within a London community. Verv quickly finds key appliances and delivers running cost in real-time. Thanks to its clever technology, you can see this information live as you turn on an appliance or look at an overview of your usage over a certain time of period. As Verv gets to know the consumers home, it will start to identify more appliances and continually provide them with a real-time feed. “Most importantly, with its ultra high frequency sample rates, the Verv hub unlocks untapped energy data from the home which opens up completely new smart home experiences and services to a range of users. We are delighted to be bringing home energy management to new levels” says Alexander Nicholson. Verv is applicable to every home globally, although initial roll out is planned for regions with a similar electricity infrastructure to that of the UK. The Digital Energy Innovation Forum 2018, focusing on the topic “Energy from Data”, dealt with the creation of value in a transforming energy sector. Experts from various energy fields discussed about their insights and experiences regarding new forms of energy management, blockchain business models, digital energy services and financing models for innovation in the new energy industry. 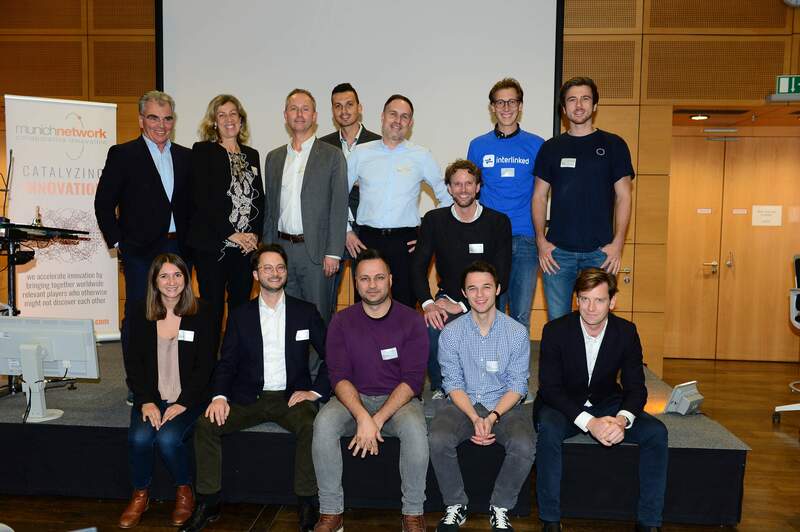 Besides receiving the Digital Energy Innovation Award that carries EUR 5,000 in prize money, the forum offered startups the opportunity to network with established companies and key players related to the field of “Digital Energy”.